As you have probably figured out by now, I'm a sucker for themed and thoughtful gifts. Especially those that earn the manly stamp of approval. 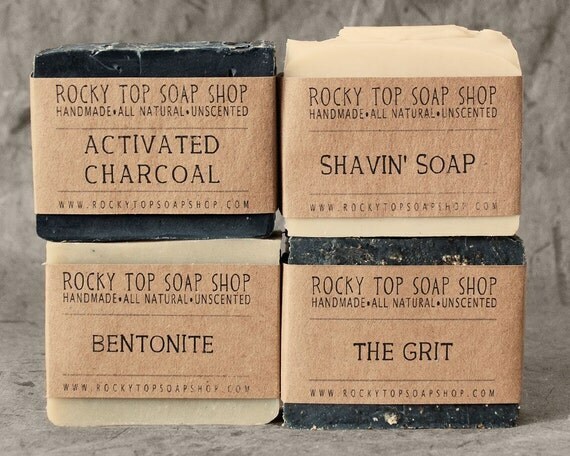 This soap set from Rocky Top Soap Shop on Etsy definitely meets that standard. I foresee this stuff making its way into Christmas stockings this year. Heck yes.